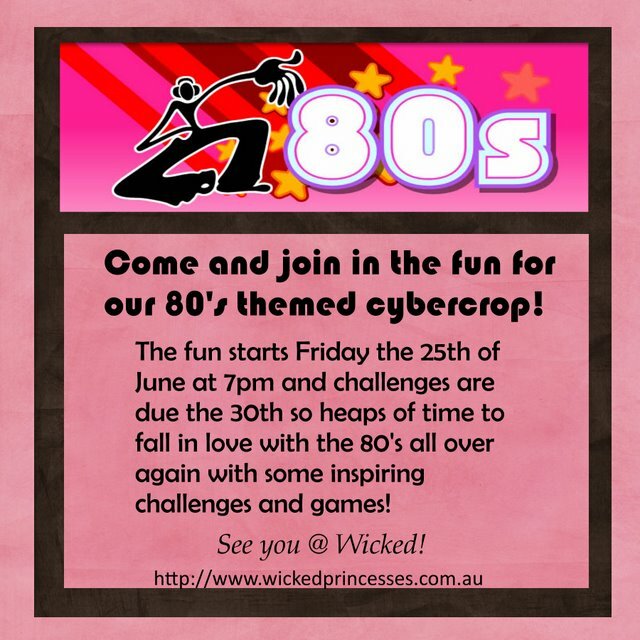 woohoo I love cybercrop time :D nearly as much as I love the 80's! what do you think of when you think of the 80's? The clothes? The music? Or is it everything? The Princesses and I have come up with some fab 80's inspired challenges and games :D Hope you can come and join in the fun! woohoo bring it on baby!!! You have such beautiful handwriting Krissy. The LO looks nice & bright.